One can safely assume that the movie Terminator bought the craze of leather jackets amongst all ages. 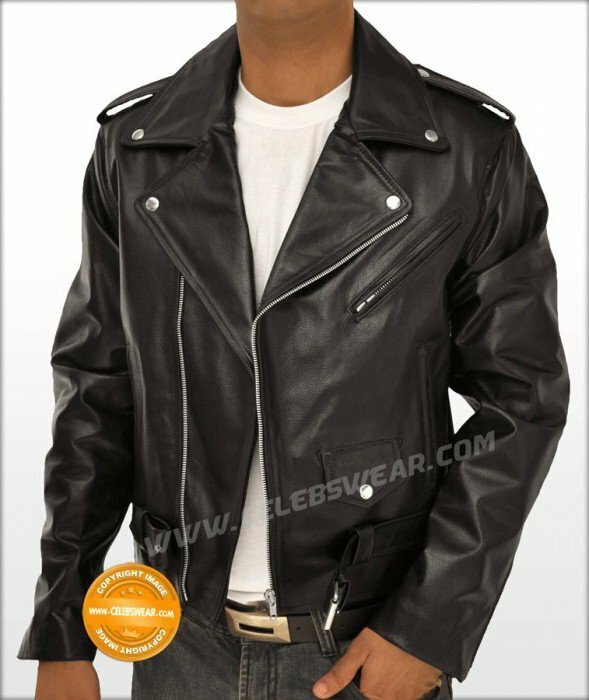 Now you can buy the replica of the same jacket worn by Arnold Schwarzenegger in the movie at the most affordable prize. Made with 100% authentic heavy duty cowhide leather, this jacket is not only comfortable but stylish as well. It has two front zipper pockets, zipper cuffs with webbing and front zipper closure all made with original YKK brand zippers. The detailing with silver buttons in the front gives this jacket an ultimate trendy look. It has quilted polyester liner to keep you warm. At the most affordable price it is available only in black color in all sizes.